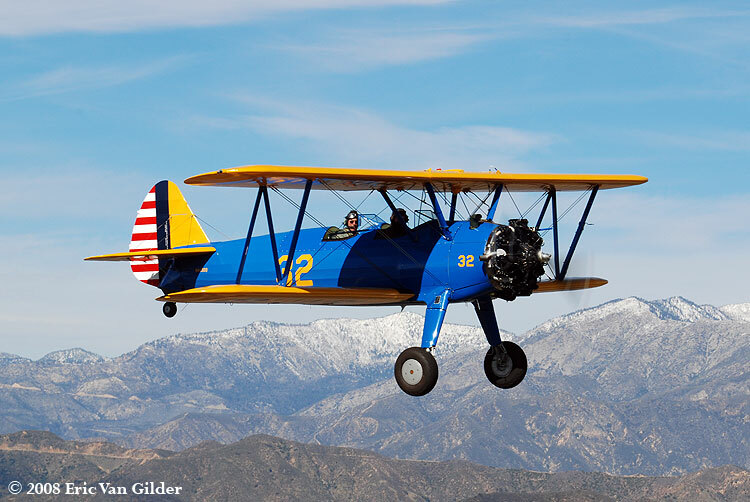 Originally called the Boeing Model 75 when Boeing purchased the Stearman Aircraft Company of Wichita in 1934, the Stearman name has never left this aircraft. It was designated the PT-17 by the US Army, the NS2 by the US Navy and the PT-27 "Kaydet" by the Canadian military. 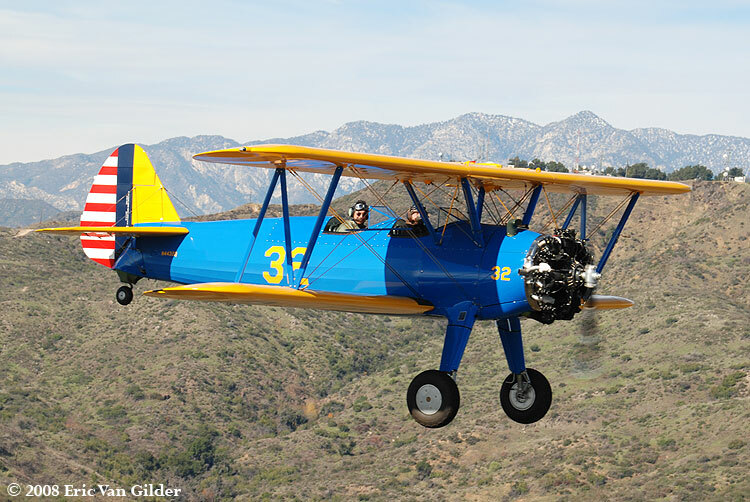 Many aviators of WWII learned their basic instruction in the PT-17. It was rugged and fairly easy to fly. 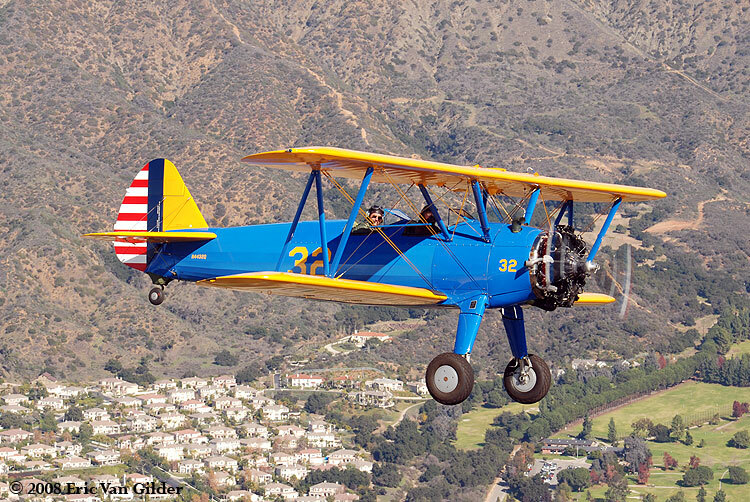 Over 10,000 Stearmans were made by the end of 1945. 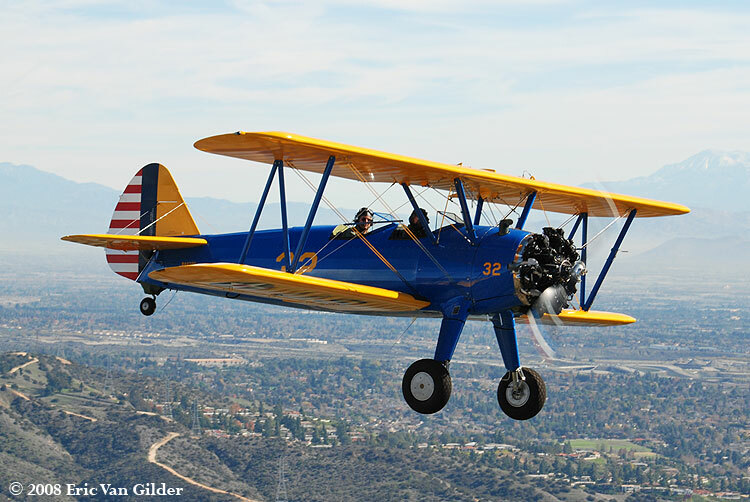 Over 1,000 of them are still flying today, which is a testament to their durability. 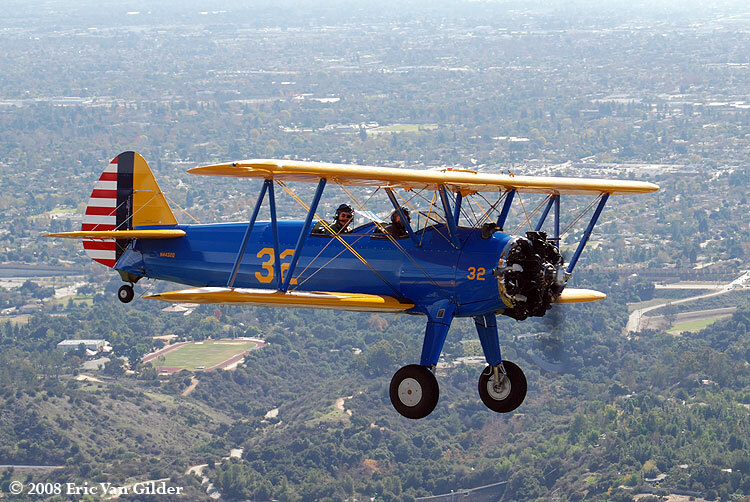 This Stearman is privately owned. 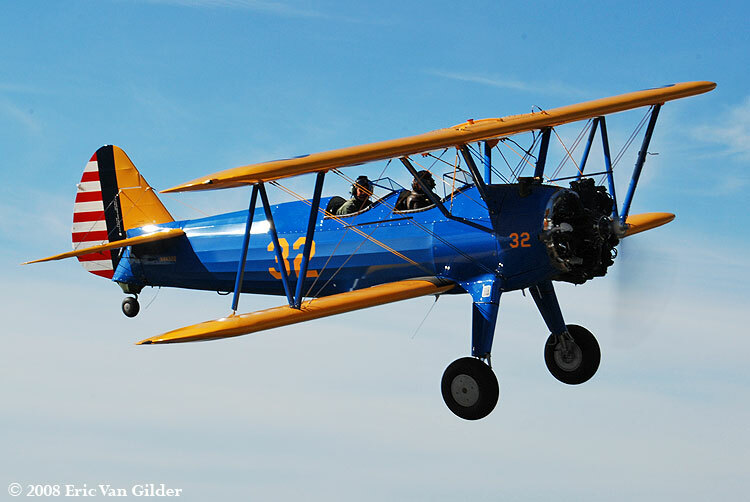 The owner has put over 400 hours of restoration time into this aircraft, and it shows. Colonel Carter Teeters flew the plane for the shoot.